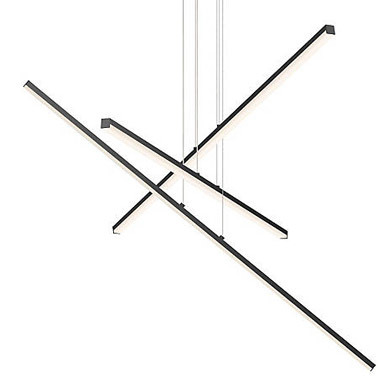 The Stix LED Suspension is a unique, minimalist design from one of the most iconic brands of contemporary lighting. 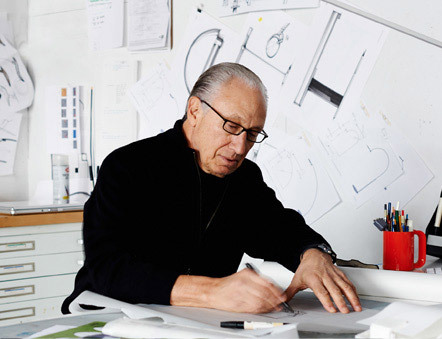 We went Behind the Design to learn more about this stunning suspension in a one-on-one interview with the father of modern lighting himself. How did you come up with the idea to create Stix? The concept of Stix came from the composition of minimal linear forms articulated with varied patterns of luminous elements to form a unified art like structure. What is the story behind the spelling of the name? 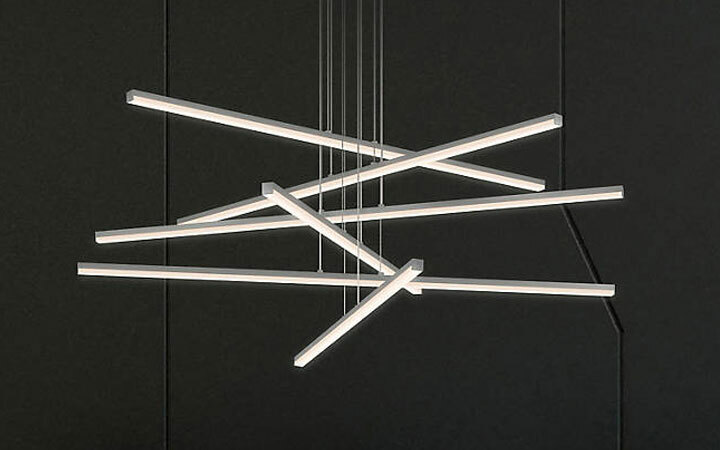 The name "STIX" is a metaphor for the intersecting angled elements of this light sculpture. It's available in 3-arm and 6-arm versions of intersecting sticks of illumination. What was the most challenging part of transforming Stix from a concept to a reality? Conceived to be minimal both in scale and composition, Stix required a sophisticated engineered approach to produce a delicate functional structure of required strength. Tell us a bit about the versatility of this piece. 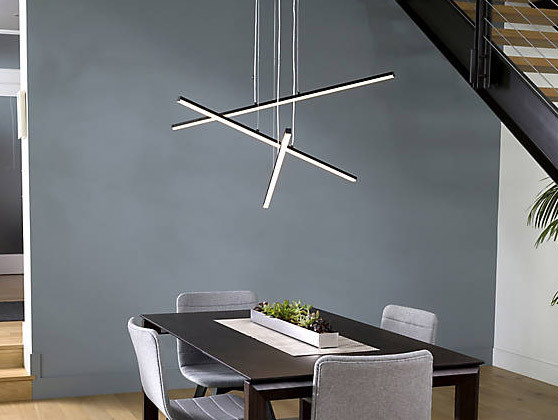 Stix works its art like magic by illuminating the air around a volume of open space or poised above a task or dining surface. Stix provides bright but dimmable LED illumination in a geometry formed by a variable arrangement of its elements. If you could place Stix any place in the world, where would you place it? 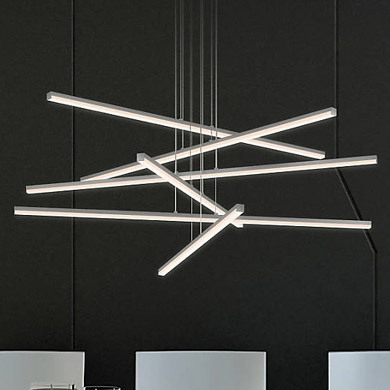 Stix would be best suspended from a high vaulted ceiling as a luminous modern sculptural that captures interest without dominance in an almost dance like presence, poising without visual weight. If you could bounce your next big design idea off of one person, living or not, who would you choose? Design investigation, development and realization comes from a single vision but matures best in concert with a like focused team of varied talents. There is no one person with whom I would seek to explore the activity but there are many, ranging from the expressionist architecture of (Frank) Gehry to the visionary drive of Steve Jobs. Everything and all things are inspirational and motivational but at my core, the passion for architecture is which (Ludwig) Mies described as the battleground of the spirit. Do you have any plans to expand the Stix aesthetic into other lighting categories? We learn and grow from experience to experience. As we develop design success with one path, we can move to another but there is always the imprint of the past experiences. As I am experimenting and developing with different forms and functionalities, the lessons of Stix will be reflected in new incarnations.